Those are some very good idead you got there, Dino! 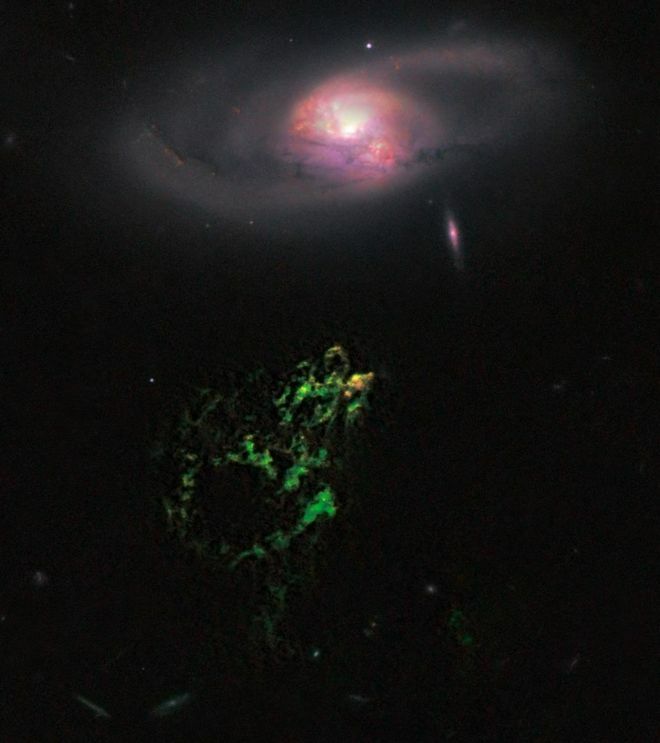 Ten years of Galaxy Zoo, ten years since Hanny found her Voorwerp. ...does that honestly, truly, really, matter? Yes! For random, inane and arbitrary reasons! Astronomers have discovered an object that could be the first known moon located beyond the Solar System. If genuine, the "exomoon" is likely to be about the size and mass of Neptune, and circles a planet the size of Jupiter but with 10 times the mass. News item here (which contains a link to a paper full of boffinry). Happy late SysAdmin day! I know we have at least three here. I'm late though. So I was reading into the original Shenmue on the Dreamcast, in particular what data is recorded in a save file, and it's a lot more than you'd think. If you're not familiar with the Shenmue, it's an open-world detective-style game where most of the game involves talking to people to find clues and learn stuff about the story, with some martial arts stuff on the side. That description doesn't do the game justice, as all of the greatness comes with the story and the sheer interactivity of the world, but it'll give you an idea of what actually needs to be saved in the game. I feel like that might be slightly overkill.